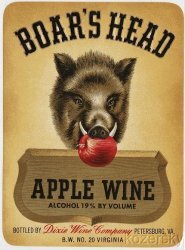 Boar's Head Brand Apple Wine Label. Original Boar's Head Brand Apple Wine Label. Graphic of a boar's head with red apple in it's mouth. Bottled by Dixie Wine Company, Petersburg, VA.
Boar's Head Brand Apple Wine Label. Original Boar's Head Brand Apple Wine Label. Graphic of a boar's head with red apple in it's mouth. Bottled by Dixie Wine Company, Petersburg, VA. This mint unused label measures about 3.5" x 4.75". 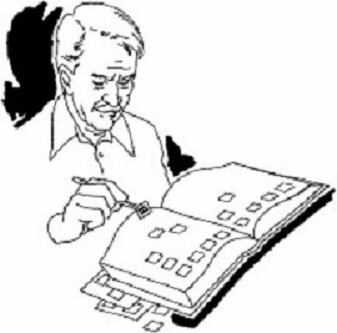 It is in excellent condition with no tears, bent corners, or creases.